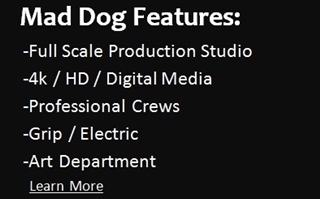 Mad Dog Video Services is a FULL SERVICE FIELD PRODUCTION COMPANY. By making one phone call, you can have more than 100 years of collective experience bringing your ideas to fruition. With over 15,000 shoots to our credit, we know we can bring your visions to the large screen or the flat screen.